I found a vintage Singer sewing machine AND sewing machine table at the thrift store for $25! YAS. I mostly wanted the table, but I plugged the machine in when I got home and it’s running smoothly. 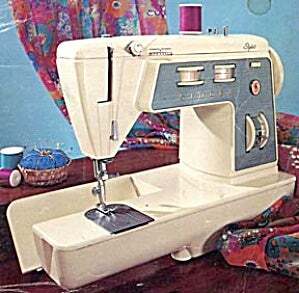 Singer was still making tanks when this machine was made, so I can’t wait to see how it sews after I service it! I wouldn’t be surprised if it puts my cheap computerized modern machine to shame, I know a lot of sewists primarily use vintage machines. I have absolutely nowhere to put this, and I just got my place looking fancy like a magazine, but it needs to be shoehorned into my life somewhere. What’s exciting you today, GT?